Roethlisberger has completed 75.3 percent of his passes this season, and has averaged 10.2 yards per attempt. Are you, desperate fantasy football owner, waiting for Ben Roethlisberger to save you? So is Antonio Brown, so you’re in good company. Roethlisberger will attempt to practice Wednesday as a first step toward returning from his sprained MCL. 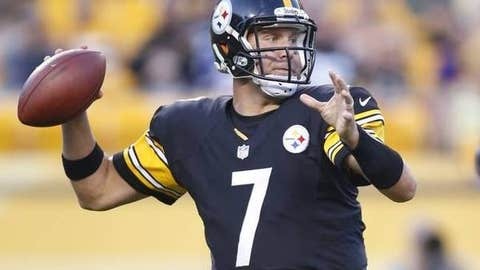 The Pittsburgh Post-Gazette notes that Roethlisberger currently "has no idea" if he’ll be able to play this week, while Pittsburgh Tribune-Review beat writer Mark Kaboly says he "wouldn’t expect Roethlisberger to be ready" for Sunday’s game at Kansas City. Kaboly suspects that Landry Jones will play if Roethlisberger can’t, but hopefully Wednesday’s practice will start to clarify this situation. Some Cowboys’ observers expect Christine Michael to get the start at running back this week. 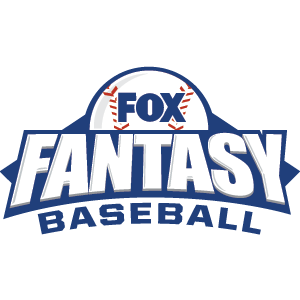 The big, talented Michael is owned in just 18.4 percent of FOXSports.com leagues, and while he’s certainly a prime free-agent target, your expectations should be tempered in the short term. The Giants had been pretty good against the run before Monday night’s loss, and Michael will probably share time with Darren McFadden and Joseph Randle. Michael looks pretty good for $3,000 on DraftKings, though. Speaking of the Giants’ loss, DeMarco Murray gashed them for 109 yards and a touchdown on 22 carries, mostly while protecting a second-half lead (Murray has nine of his carries in the fourth quarter). Murray has carried 42 times in the last two games, so we’re good with his usage now, right? And speaking again of the Cowboys, NFL Network’s Ian Rapoport calls a Week 7 return for Dez Bryant "incredibly unlikely." Titans QB Marcus Mariota might not be able to play against the Falcons on Sunday due to a sprained knee; Zach Mettenberger would start in Mariota’s place. Mettenberger might have an interesting new target in rookie Dorial Green-Beckham, who caught three passes for 57 yards on six targets against the Dolphins. I know, I know … that’s not a lot. But Green-Beckham is a physical freak, and the Titans will probably use him more if they think he’s ready. Thursday’s game is Seahawks-49ers, while your byes are Bears, Bengals, Broncos and Packers. Set your lineups accordingly. 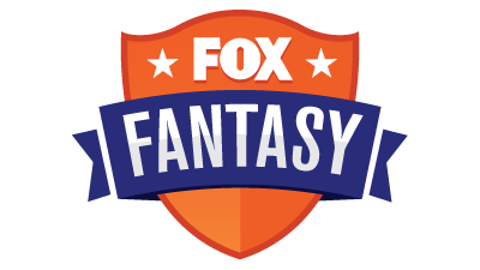 We should get updates Wednesday on injured Jaguars T.J. Yeldon (groin), Allen Robinson (leg) and Julius Thomas (rib). Yeldon missed Week 6, while the issues with Robinson and Thomas don’t sound serious. The Saints have released PK Zach Hocker, and will sign Kai Forbath. It sounds like Bills WR Sammy Watkins (ankle) won’t play against the Jags in London this week. The Jets might get RB Stevan Ridley (knee) to make his debut this week, but how much of a role would he have considering the way Chris Ivory is running? Ridley is probably only a handcuff for Ivory, and not a good one. It sounds like the 49ers will get RB Reggie Bush (calf) back on Thursday. See you back here Friday morning.